My ongoing PhD research investigates the guthi institution of Nepal and assesses its relevance in the contemporary context as a resilient social institution based on history and potentiality. 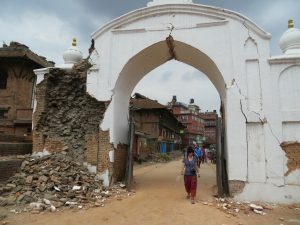 The Gorkha Earthquake of 2015 and its aftermath revived the discussion of guthis because these organisations used to be involved in the upkeep of many of the heritage structures that were damaged by the earthquake (KC, 2016; Risal, 2015; ‘Guthi Sansthan seeks role in reconstruction of temples’, 2017). This provided a very useful case study of how the role of guthis might influence the post-earthquake restoration. However, I also needed to acknowledge that Nepal opted to rely heavily on foreign aid for its immediate response and for long-term restoration, and the post-earthquake heritage restoration was largely dictated by aid agencies and availability of aid. So I have looked at the case from a different angle and taken the liberty to stray a little from the central topic of my thesis. 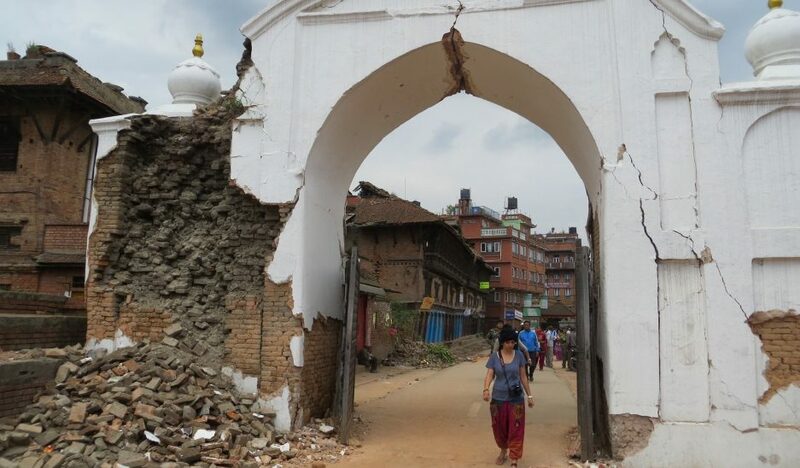 As the Nepal government planned its reconstruction and rehabilitation effort, a total of 4.4 Billion US dollars of aid was pledged by the international community (Deen, 2015). Thus it seemed that the immediate response and the reconstruction process would heavily involve international aid. 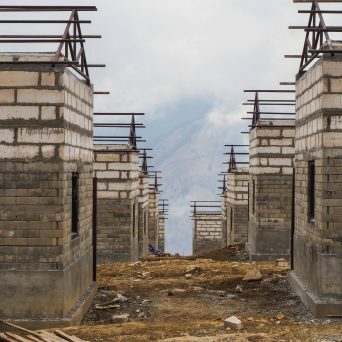 However, in the immediate aftermath of the earthquake, the government took some steps to control the flow of aid into the country and established a single channel process for aid distribution through the Prime Minister Disaster Relief Fund. My research shows that over the past three years the state’s perspective on international aid has been changing considerably. Its intention to assert more control over the distribution of international aid was very clear: the prime example was the presentation of a draft of a National Integrity Policy in 2018 (‘OPMCM drafts National Integrity Policy’, 2018). There were other signs too of an inclination within the government to adopt more authoritarian and nationalistic policies, particularly towards proselytization and the possible involvement of the NGO sector in it. The changed attitude towards international aid in the country reached the local government level too. In Bhaktapur, the insistence of the Municipality on community involvement in the restoration process of heritage structures led to the German Development Bank KfW disagreeing on the modality of the reconstruction process and eventually pulling out from the project completely (Bhattarai, 2018). I was interested to see whether the same attributes that directed the policies at national level were also in evidence at the local level, but I found that the underlying attributes differed at local level. The municipality has shown its intent to self-fund the restoration of heritage structures as a bold move. At local level the sentiments of the people and the aspect of dignity they saw in being able to rebuild their heritage themselves seemed to play a larger part. The step that has been taken by the Bhaktapur Municipality may help towards the fiscal capacity building eventually, but it is uncertain whether the local government itself can fund the restoration projects without help from the federal government. Here there are lessons to be learned from the past: guthi organizations were self-governed financially too and used funds collected as “rent” from endowments they received to fund their activities (Toffin, 2005; Shrestha, 2012). The idea that building fiscal capacity should be beneficial for development in the longer run compared to depending on aid is reflected by several authors (Moss … van de Walle, 2006; Easterly, 2002; Castel-Branco, 2008; Nurkse, 1958, pp.264–265). Unfortunately, guthi organisations have been side-lined in recent years and are largely in decline. 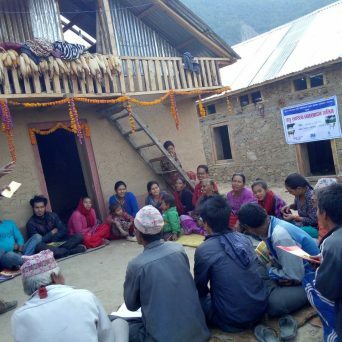 As an alternative, the Bhaktapur Municipality has been utilising local “user committees” in restoration projects. These “user committees” are formed by the local community and registered with the Municipality. However, they are dominated mostly by members of the Nepal Majdoor Kishan Party. More importantly, with these “user committees” not having the capability for self-funding, they must rely entirely on funds the Municipality provides, thus giving them less capacity than the guthis of the past. Taking all this into account, I suggest that the self-funding principle of the indigenous guthi institution could be a viable alternative to the funding of reconstruction projects and other infrastructure projects in the future. Picture: The gate to Bhaktapur Durbar Square damaged by the 2015 Earthquake (Photo: Author). Anon (2017) ‘Guthi Sansthan seeks role in reconstruction of temples’. Anon (2018) OPMCM drafts National Integrity Policy. [Online] [online]. Available from: https://thehimalayantimes.com/nepal/opmcm-drafts-national-integrity-policy/ (Accessed 9 October 2018). Bhattarai, S. (2018) Clash of cultures in Bhaktapur. [Online] [online]. Available from: https://www.nepalitimes.com/banner/clash-of-cultures-in-bhaktapur/ (Accessed 21 August 2018). Castel-Branco, C.N. (2008) Aid Dependency and Development: a Question of Ownership? A Critical View. (01). Deen, T. (2015) Donors Pledge Over 4.4 Billion Dollars to Nepal – But With a Caveat. [Online] [online]. Available from: http://www.ipsnews.net/2015/06/donors-pledge-over-4-4-billion-dollars-to-nepal-but-with-a-caveat/ (Accessed 6 November 2018). Easterly, W. (2002) The cartel of good intentions: The problem of bureaucracy in foreign aid. The Journal of Policy Reform. 5 (4), 223–250. KC, C. (2016) Preserving the intangible. [Online] [online]. Available from: http://nepalitimes.com/article/Nepali-Times-Buzz/saving-the-intangible,3303 (Accessed 3 October 2017). Moss, T.J., Pettersson, G. & van de Walle, N. (2006) An Aid-Institutions Paradox? A Review Essay on Aid Dependency and State Building in Sub-Saharan Africa. SSRN Electronic Journal. (74), 1–28. Nurkse, R. (1958) Trade fluctuations and buffer policies of low-income countries. Kyklos. 11 (2), 141–154. 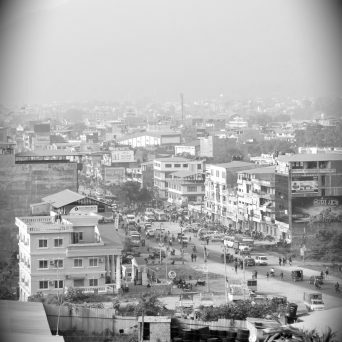 Risal, D. (2015) Kasthamandap: Microcosm of Kathmandu’s Living Culture and Storied History. [Online] [online]. Available from: http://softdevelop.com/articles/kasthamandap/kasthamandap.pdf (Accessed 25 September 2017). Shrestha, B.G. (2012) The Sacred Town of Sankhu : The Anthropology of Newar Ritual, Religion and …: EBSCOhost. Cambridge Scholars Publishing.